Heather Barbieri follows her acclaimed Gaelic-tinged drama The Lace Makers of Glenmara with the resonant tale of a woman who, in the wake of scandal, flees to a remote Maine island to reconnect with her past—and to come to terms with the childhood tragedy that has haunted her for a lifetime. 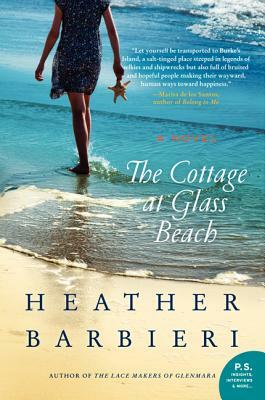 Set on the rugged New England coast, Barbieri’s The Cottage at Glass Beach strikes the perfect balance between high lit and mainstream women’s fiction, infusing a potent and unforgettable love story with unforgettable characters that will remain with you long after the final chapter. Richly evocative, Barbieri’s narrative of intimacy, struggle, and redemption will call out to readers of Joanne Harris, Alice Hoffman, and other modern masters of drama.